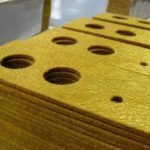 Polyimide Composite Materials Archives - Foundry Service & Supplies, Inc.
Polyimide Composites are ultra high strength, high temperature fiber reinforced materials with unmatched strength-to-weight ratios. Pyropel is composed of woven Polyimide fibers to create an insulating mat in varying densities. 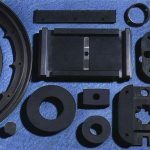 Wearcomp and Fibercomp are carbon and carbon fiber molded thermoset Polyimide composites. Some of the outstanding properties of these materials include: high temperature resistance, self lubricating, high impact strength, excellent corrosion resistance, low wear, light weight, and good dimensional stability.